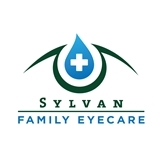 Sylvan Family Eyecare (Englewood Cliffs) - Book Appointment Online! Welcome to Sylvan Family Eyecare! Our mission is to be your trusted eye care provider for you and your family. We believe in the importance of healthy eyes for people of all ages. From medical emergencies to specialty contact lens fittings, we strive to deliver the best comprehensive eye care services with integrity and compassion. We value quality relationships with our patients and their families. Schedule an appointment with us today! We look forward to welcoming you into our family. Professional and friendly staff throughout the entire appointment. The Doctor was incredibly thorough and I recommend this practice entirely. Highly professional, but personable. Thorough and very kind. Diff. will recommend!